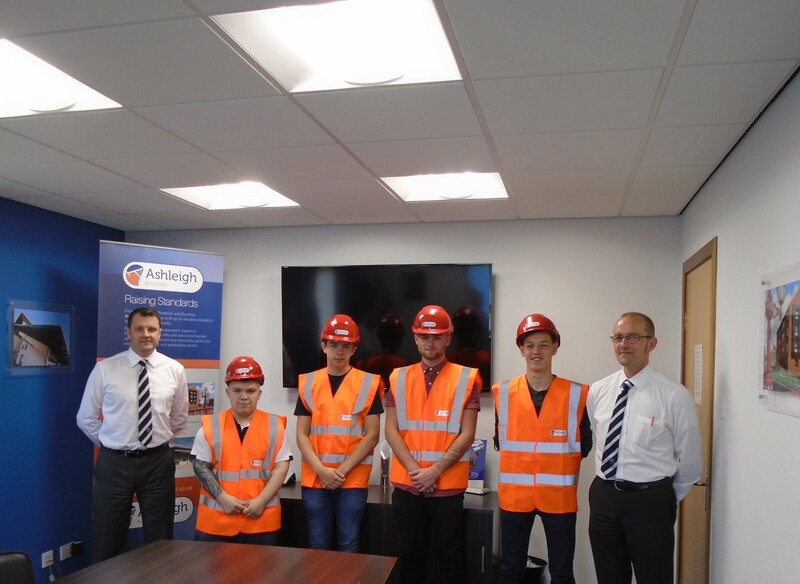 Ashleigh Building’s continued investment in our Apprenticeship Programme has seen the recruitment of four new trade apprentices from Ayrshire and Dumfries & Galloway. Christopher McGowan, Gary MacDonald, Connor Izzard and Robbie Finney participated in their induction today at our Prestwick Office and are ready to start next week. Pictured below with Joint Managing Director, David Smith and Technical Manager, Les Shearer and we wish them all the best in their new careers.